← What Books Have Influenced Christian Leaders? Now, admit it—you love yourself, and you have a wonderful plan for your life. Somehow, someway we all are too focused on our own lives. All of us get captured by what we want, what we feel, and what we have determined we need. Every one of us is a dreamer. We have all been given the amazing capacity to envision the future and to plan toward it. A dream is imagination coupled with desire and projected into the future. There are things that you would love to have as part of your life. There are things that you would like to accomplish. There are locations you would love to experience. There are relationships you would like to enjoy. There are situations you would like to avoid. Every day you get up and you work toward some kind of dream. But dreamers don’t just dream their dream; they also dream to be sovereign. In some way, at some time, all of us have wished that we had enough control over our lives to guarantee that we could experience the things we have dreamed. We would like to control people and situations just enough to ensure that the “good things” we’ve dreamed would actually come true. What does the Bible call all of this? The Bible calls it worship. You see, you and I are worshipers. This is one of the things that separates us from the rest of creation. As worshipers we are always living for something. Something is always laying claim to the affection and rulership of our hearts. There is always something that commands our dreams. There is something that we look to for identity, meaning, and purpose, and that inner sense of well-being that everyone seeks. Scripture says that there are only two choices (Rom. 1:25). Either you are living in pursuit of the creation or you are living in pursuit of the Creator. You are looking for your satisfaction and meaning in the physical, created world, or you are finding it in the Lord. This means that there is a war of dreams that rages in our hearts, and in the middle of the fog of this war it is so easy to get it wrong. It is so easy to think that because we have our theology in the right place, because we are biblically literate and functioning members of a good church, that our lives are shaped by worship of the Lord. But that may not be the case at all. On closer inspection, it may actually be the case that underneath all of those things we are driven by personal success, or material things, or the respect of others, or power and control. I am deeply persuaded that there’s a whole lot of idolatrous Christianity out there. The most dangerous idols are those that fit well within the culture of external Christianity. No, David isn’t some super-spiritual mystic. David gets it right. His quest is for a life shaped and directed by a daily worship of the Lord. David knows who he is: a creature created for worship. David knows who God is: the only “thing” in the universe truly worthy of worship. His dream is the best dream that you could ever dream. Far from being impractical, this dream, if lived out at street level, will bring purity and peace to your life. What is your plan for your life? How close is your plan to the plan God had for you when he gave you life and breath? Is there, perhaps, something in your plan that competes for the place that only God should have? May your plan for you be identical to his plan for you! 1. How close is your dream for your life to the plan for life to which God has called you? 2. Is God calling you to let go of a dream so that his plan for you may flourish? *The article above adapted from the excellent book by Paul David Tripp. A Shelter in the Time of Storm: Meditations on God and Trouble. Wheaton: Good News Publishers/Crossway Books. 2009, pp. 149-150. Dr. Paul David Tripp is the president of Paul Tripp Ministries (www.paultrippministries.org), a nonprofit organization, whose mission statement is “Connecting the transforming power of Jesus Christ to everyday life.” This mission leads Paul to weekly speaking engagements around the world. 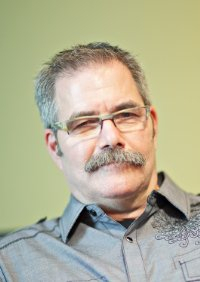 In addition to being a gifted communicator and sought after conference speaker with Paul Tripp Ministries, Paul is the Executive Director of the Center for Pastoral Life and Care in Fort Worth, Texas, and has taught at respected institutions worldwide. As an author, Paul has written many books on Christian Living that are read and distributed internationally. He has been married for many years to Luella and they have four grown children. Dangerous Calling: Confronting The Unique Challenges of Pastoral Ministry. Wheaton: Crossway Books, 2012. Forever: Why You Can’t Live Without It. Grand Rapids: Zondervan, 2011. What Did You Expect? Redeeming The Realities of Marriage. Wheaton: Crossway, 2010. The Power of Words and the Wonder of God (contributor). Wheaton: Crossway, 2009. 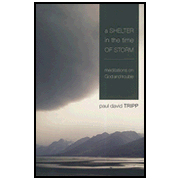 A Shelter in the Time of Storm: Meditations on God and Trouble. Wheaton: Crossway, 2009. Broken Down House: Living Productively in a World Gone Bad. Shepherd Press, 2009. Helping People Change (with Timothy S. Lane). Greensboro, N.C.: New Growth Press, 2008. Whiter Than Snow: Meditations on Sin and Mercy. Wheaton: Crossway, 2008. Helping Your Adopted Child. Greensboro, N.C.: New Growth Press, 2008. Peer Pressure. Greensboro, N.C.: New Growth Press, 2008. A Quest for More: Living For Something Bigger Than You. Greensboro, N.C.: New Growth Press, 2007. Grief: Finding Hope Again. Greensboro, N.C.: New Growth Press, 2005. Lost in the Middle: Midlife and the Grace of God. Shepherd Press, 2004. Pastoral Leadership for Manhood and Womanhood (contributor). Wheaton: Crossway, 2003. Instruments in the Redeemer’s Hands: People in Need of Change Helping People in Need of Change. Phillipsburg, NJ: P&R, 2002. Age of Opportunity: A Biblical Guide to Parenting Teens. Phillipsburg, NJ: P&R, 2001. War of Words: Getting to the Heart of Communication Struggles. Phillipsburg, NJ P&R, 2001.